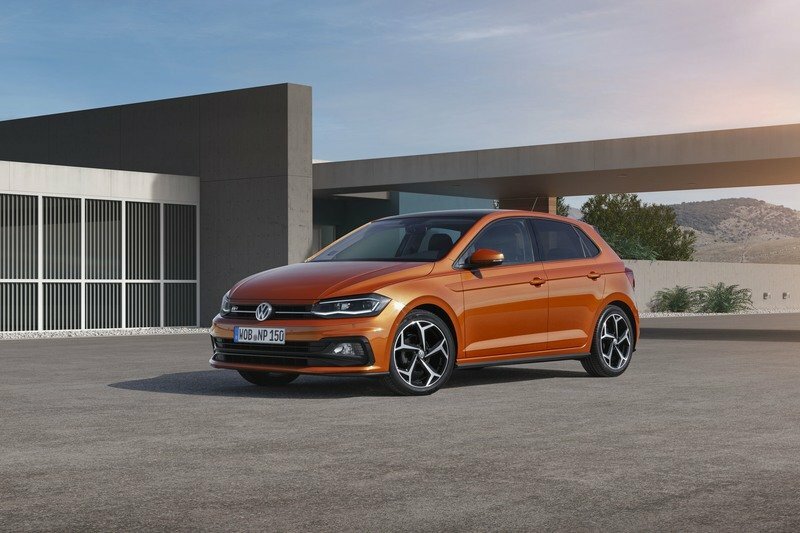 Although it sports an evolutionary design that’s fresh but far from outstanding, the new Polo is a noteworthy machine on the inside. Gifted with an exciting interior design and more technology than anything else in this niche as of 2017, the Polo is once again the leader of the subcompact market. And the redesign arrived just in time, as both Ford and Kia upgraded the Fiesta and Rio for the 2017 model year. How does it compare to its main rivals in Europe? Find out in the detailed review below. Continue reading to find out more about the Volkswagen Polo. Exterior comparison: new vs old Polo. Not surprisingly, the new Polo's design is evolutionary and very similar to the outgoing model. 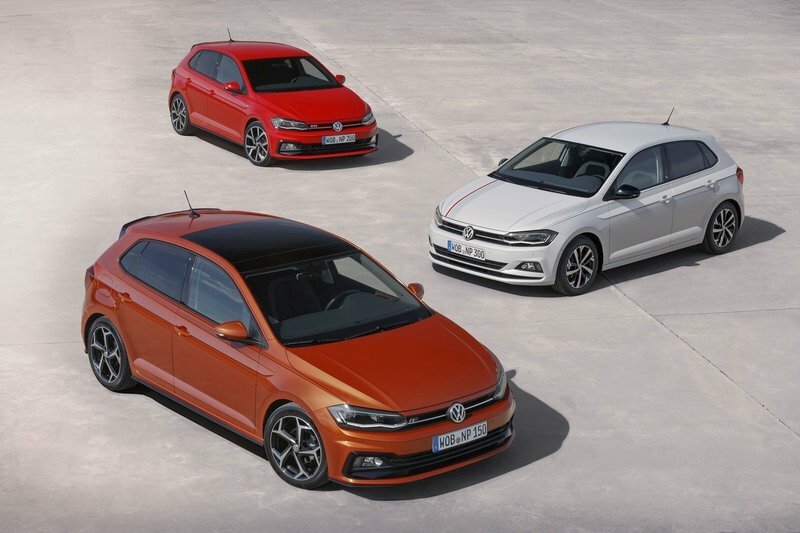 Not surprisingly, the new Polo’s design is evolutionary and very similar to the outgoing model. The subcompact received the same treatment as the Golf when it was last redesigned, gaining more athletic cues and sleeker design elements. It also borrows a few features from the current Golf, which is also far from surprising. So are we looking at a modern Polo or just reheated soup? Definitely modern! It might not be as different as you’d expect from a new design, but this is the kind of strategy Volkswagen has been using lately and the Polo is the type of car most customers expect to remain true to its roots. The new front end is decidedly sportier that the outgoing model, featuring slimmer headlamps and a revised grille. The new front end is decidedly sportier that the outgoing model, featuring slimmer headlamps with a wavy LED pattern and a revised grille with a thick, horizontal chrome strip in the middle. Down below, the bumper grille is a black one-piece unit on some models and body-colored with slim black inserts on other trims. I’m not a big fan of latter, but I must admit it makes the Polo lineup a bit more exciting. At least compared to the previous model and what you get from other brands nowadays. Moving onto the sides, we can see more of Volkswagen’s new ideas to make the Polo seems sportier. For starters, there’s a more pronounced character line at the upper section of the door. The sharp crease runs from the front wheel arches through the door handles all the way back to the taillights, giving the vehicle a more muscular look. The rear door and quarter windows are also narrower and the roof has a slight touch of coupe to it. Finally, the side skirts are beefier. VW made a few changes around back too, but surprisingly enough, the bumper is identical to the old one. VW made a few changes around back too, but surprisingly enough, the bumper is identical to the old one. Sure, it sports redesigned tailpipes and gives the standard Polo a GTi vibe, but it’s still pretty close. For modifications you have to look above that. Arguably the biggest change is the new taillight design. Although still almost square, they now have sharper edges and an interesting P-shaped cluster with very thin stripes toward the sides. The tailgate also has a character line now, which is pretty much a continuation of the beltline that bridges the front wheel arches and the taillights. It might be just a simple, horizontal crease, but it gives the rear end extra width and a sportier stance. Design aside, Volkswagen also conceived the new Polo as a larger vehicle. Again, this is far from surprising, as almost all compacts grow in size with a new generation nowadays. The new Polo is 4.05 meters long, a 101 mm increase, which also translates into a 94 mm longer wheelbase. This makes it longer than the first two generations of the Golf and only 202 mm shorter than the current hatchback. 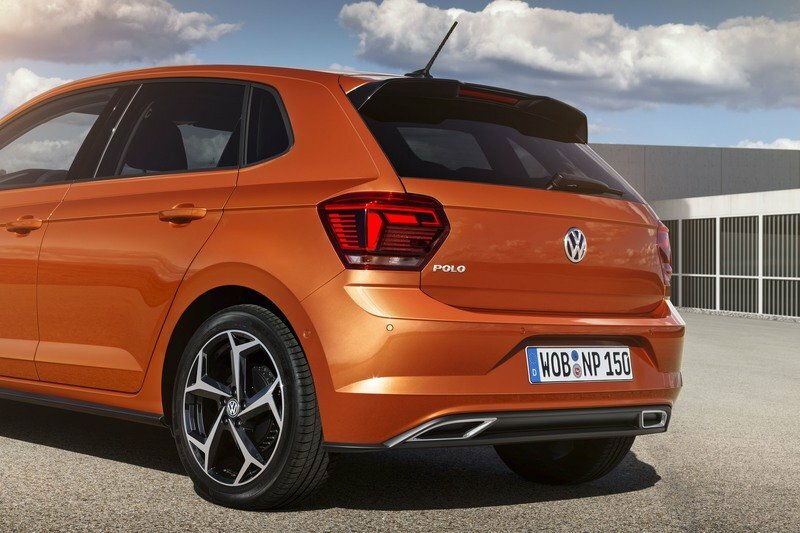 Volkswagen also brags that the new Polo is highly customizable thanks to its 14-color exterior palette, but that’s not exactly true, because Ford, for instance, offers 12 colors for the Fiesta in most markets. All told, the new Polo isn’t a major redesign styling-wise, but it brings a fresh look with sportier cues into dealerships. The fact that it’s bigger will also make it more appealing to those who can’t afford a Golf. Although redesigned, the Fiesta's styling cues are notably evolutionary, with many of the previous model's details retained, but reimagined. 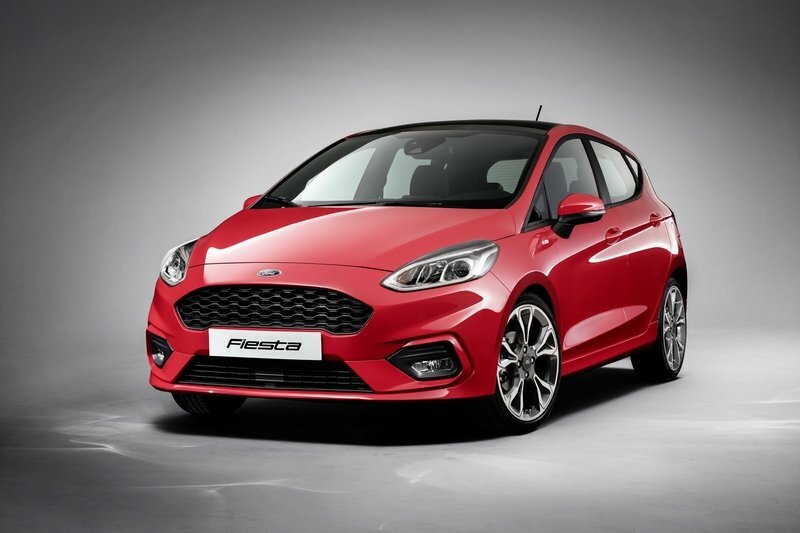 Also brand-new for 2017, the Ford Fiesta sports similar updates on the outside. Although redesigned, its styling cues are notably evolutionary, with many of the previous model’s details retained, but reimagined. Whether it looks good or bad is still a matter of debate (and taste of course), as some enthusiasts don’t agree with Ford’s new take on the front grille. 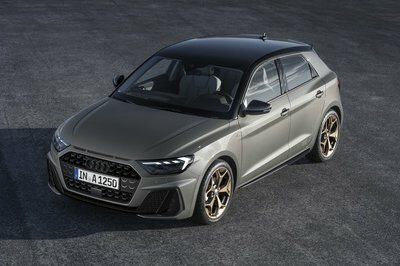 However, it’s pretty obvious that the design is sportier than before, with more aggressive headlamps, LED fog lamps, and even a splitter-like element. A steep beltine and coupe-ish roofline highlight the sides, while the rear section seems wider thanks to a pair of horizontal taillights instead of the vertical units seen previously. Several trims are available, which adding certain design elements front and rear. Obviously, the ST is the sportier, while the Active has SUV-like cladding. It’s actually here that the Fiesta stands out, as the new Polo has yet to spawn a crossover-like version. 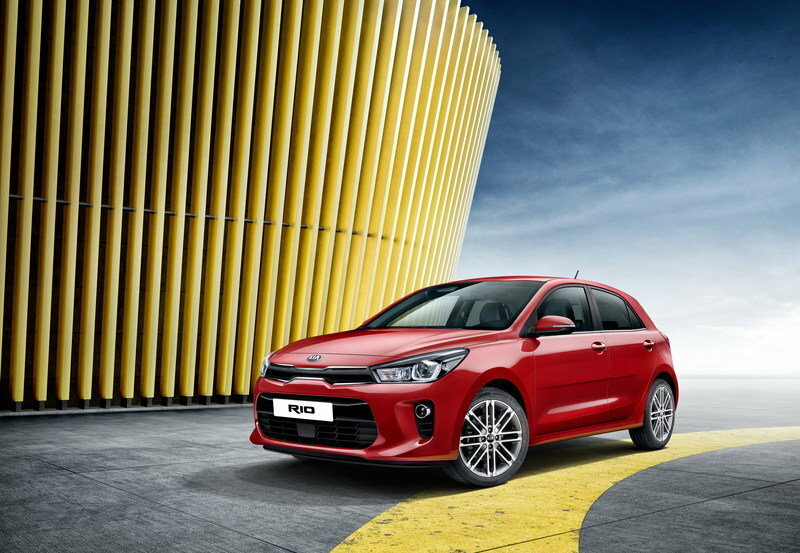 The Kia Rio was also redesgined from the ground up for 2017, this time around with a more significant upgrade. Previously an affordable car that didn’t have the looks, but proposed other conveniences, the Rio is now a hatchback that also looks good on the road. Highlights include redesigned lights front and rear, a new "tigernose" grille, and a sportier stance due to a revised roof and side panels. On the flipside, it doesn’t have the aggressive beltline seen on the Polo and Fiesta, thus it appears to be a bit more elegant than its rivals. Granted, elegant is no longer popular in an era when customers demand sportiness in every niche, but the Rio remains one of the more appealing vehicles in this niche. But the Rio comes with a few downsides. It’s not as customizable as the Polo and it doesn’t have a performance-oriented version yet, which means no splitters, wings, or fancy grilles. Interior comparison: new vs old Polo. While the exterior won't win "the most revolutionary makeover" award, the interior is a different story. While the exterior won’t win "the most revolutionary makeover" award, the interior is a different story. It’s here where you can tell that you’re driving a new-generation Polo, as every little detail has been redesigned. The dashboard is the first feature that catches the eye. Now sporting a simpler, more angular design, it also looks pretty high tech. And if you ignore the size, it seems to come from larger, more expensive Volkswagens. 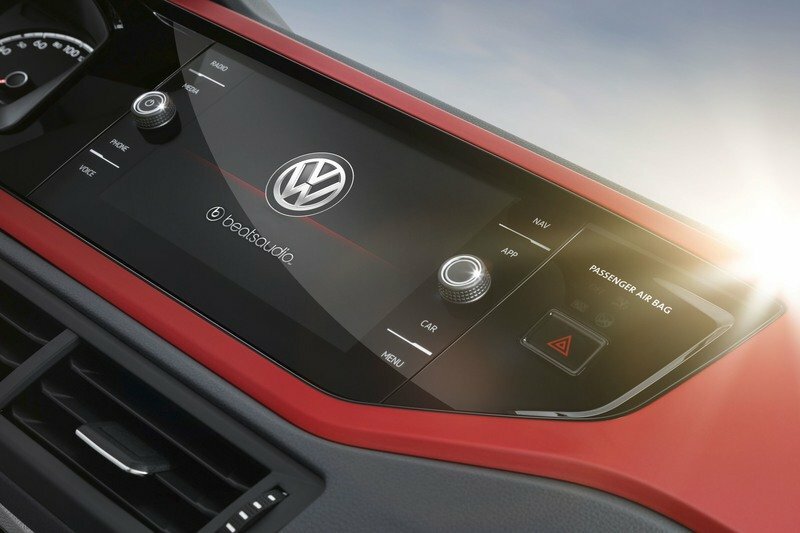 The dull center stack of the previous Polo was ditched in favor of a more modern unit, in which the large infotainment screen sits above the A/C vents and controls. The clever design almost unites the display and the new, digital instrument cluster into a single unit, giving the Polo an unprecedented premium look. 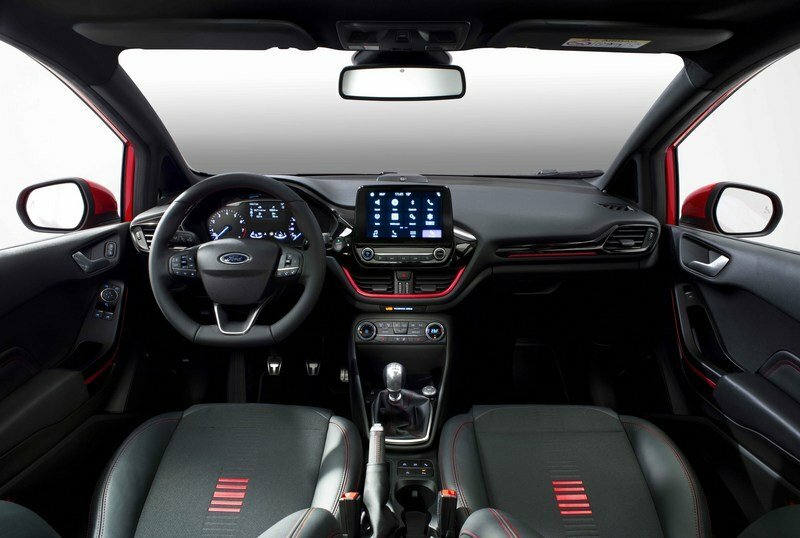 The new hatchback also comes with lively color dashboard fascias, which include, as seen in the photos, orange and red inserts that extend into the door panels and center console. 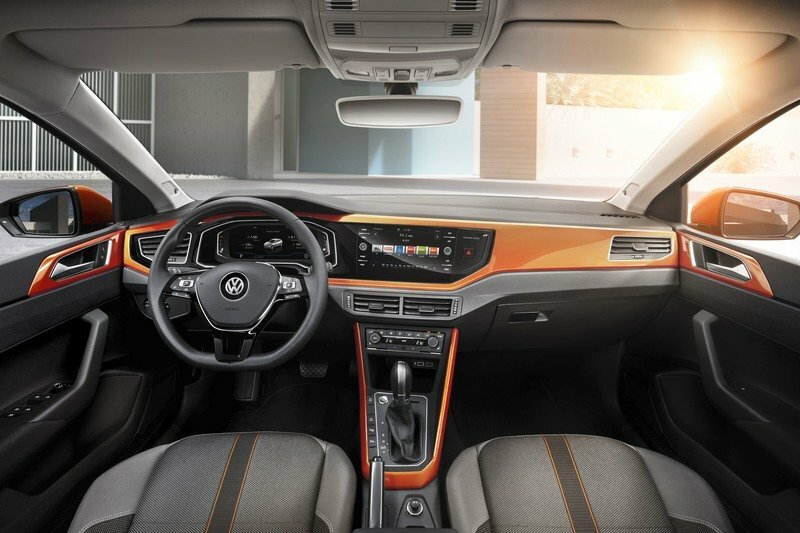 The new Polo also marks a couple of important benchmarks: it’s the first of its kind to have a digital instrument cluster, as well as the first Volkswagen to use the second-generation of the Active Info Display. The simple and clean design of the dashboard trickles down into the door panels and the seats. While not as fancy, these features create a welcoming atmosphere that can be either sober or sporty, depending on trim and options. Beyond the gorgeous design, Volkswagen also introduced a host of new technologies and moved the Polo up the premium ladder. Beyond the gorgeous design, Volkswagen also introduced a host of new technologies and moved the Polo up the premium ladder. 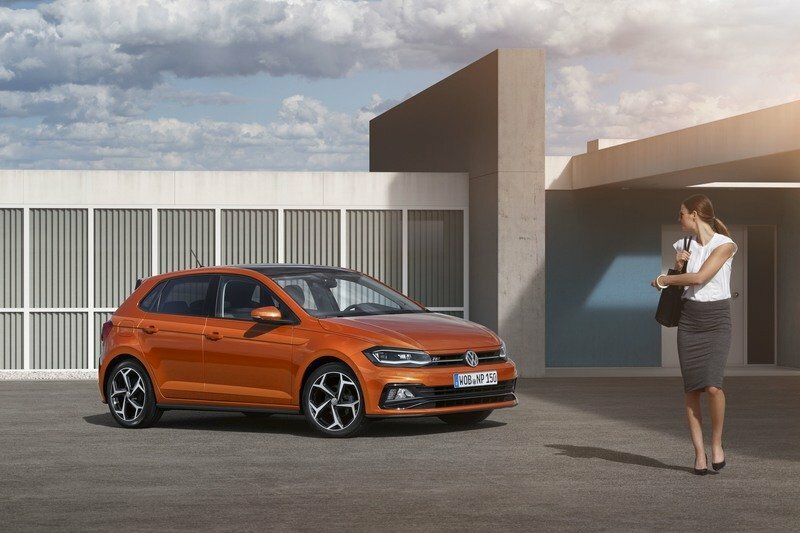 Even the base version of the new Polo comes with the Front Assist area monitoring system including City Emergency Braking and Pedestrian Monitoring as standard, while Adaptive Cruise Control is optional. ACC also offers a Stop & Go function with the dual-clutch transmission. 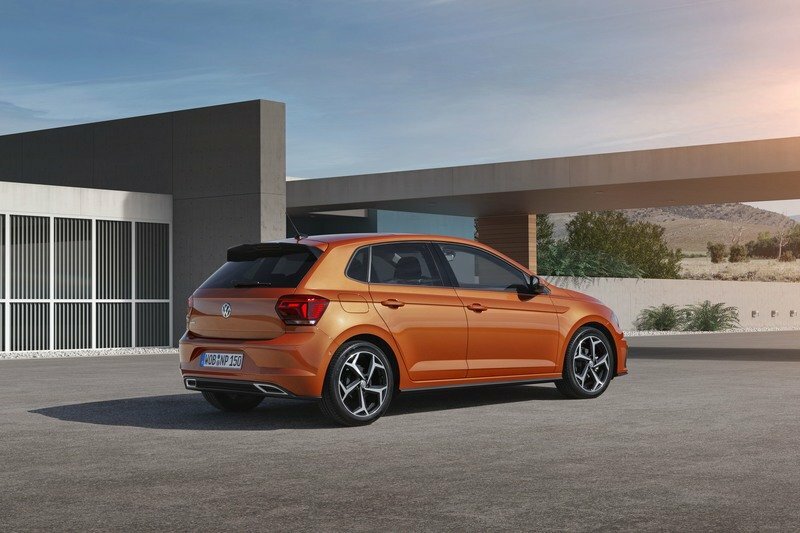 New options in the Polo include Blind Spot Detection lane change system with Rear Traffic Alert, the semi-automated Park Assist system for exiting parking spaces and a "maneuvering function". The latter automatically protects against parking dents in tight spaces. There’s also an optional Keyless Access locking and engine starting system. Space is also important in tiny cars, so Volkswagen not only gave the Polo a longer wheelbase, but also repacked the interior for improved roominess. There’s more legroom for both front and rear passengers, while trunk volume grew by 25 percent, from 280 to 351 liters. While the Fiesta is far from impressive on the outside, its new cabin design has plenty to brag about. While the Fiesta is far from impressive on the outside, its new cabin design has plenty to brag about. The dashboard was redesigned to include a more organic shape with large A/C vents and a suspended infotainment screen, while the center stack has an U-shaped A/C layout with all the buttons integrated into the center console. It’s the kind of design you don’t see in many small cars, making the fiesta rather unique. The instrument cluster includes a 4.2-liter TFT display, while Sync 3 infotainment screen measures 6.5 inches standard or eight inches optionally. Just like VW, Ford added a bit of extra legroom for rear passengers, but the Fiesta still feels cramped for tall adults. Hopefully the Polo has a big more space back there. Up front, the seats are far more comfortable and supportive and visibility has improved as well. There are plenty of apps to play with, including Android Auto, Apple CarPlay, Spotify, and HearMeOut. An optional B&O Play sound system turns the interior into a concert hall. A few years ago, Kia interiors were something to write home about. But this has changed in recent years, and the Rio is one of the best examples to showcase the company’s progress in terms of design and comfort. Unlike it’s rivals, which use simple and relatively flat surfaces, the Rio brings forward a more organic dash with a big recess carved into the passenger side. It’s here where Kia inserted the central A/C vents and infotainment screen, making the center stack feel less cluttered. I actually like the feeling of room you get without the all those features sticking out of the dash above the gear shifter. The cabin also feels more upmarket now, and the dash and door panels no longer feel like they’re made of cheap plastic. The instrument cluster looks modern too, even though it misses the fancy screen you get inside the Polo. The new Rio is available with a choice of black or grey cloth seat upholstery, or with black or grey faux leather. A Red Pack gives buyers black with red faux leather-trimmed seats. It’s also the most technologically-advanced Rio ever produced, being equipped with new cabin technologies, safety systems, and connectivity features. The Rio comes with both Android Auto and Apple CarPlay integration and is the first vehicle in its class to offer Autonomous Emergency Braking with pedestrian recognition. Impressively enough, the Rio offers the largest trunk, beating the Polo and Fiesta with both the rear seats up or folded flat. No fewer than six different gasoline options are available, starting with a 1.0-liter turbo that comes in four flavors. The previous Polo had a diverse engine lineup and the brand-new model promises to be just as versatile. No fewer than six different gasoline options are available, starting with a 1.0-liter turbo that comes in four flavors. The base unit cranks out 65 PS, but Volkswagen also offers variants with 75, 95 and 115 PS. The five-speed manual is standard on the first three, while the most powerful uses a six-speed manual. The 95 and 115 PS versions can also be selected with the seven-speed DSG. Next up is the 1.5-liter TSI, which is rated at a solid 150 PS. If you’re looking for more oomph, the 2.0-liter TSI in the GTi model delivers no less than 200 PS. Both the 1.5 and 2.0 can be had with either the six-speed manual or the seven-speed DSG. For the first time ever, the Polo can also be purchased with a natural gas drivetrain. Moving over to diesels, there’s a new 1.6-liter TDI engine. The base model gets 80 PS, while the more expensive option puts 95 PS to the ground. The former comes with a five-speed manual only, while the latter can be paired with the same manual or the seven-speed DSG. For the first time ever, the Polo can also be purchased with a natural gas drivetrain. The engine is called the 1.0 TGI, cranks out 90 PS, and mates to a five-speed manual. There isn’t much info available at this point, but Volkswagen says that the 1.0 TGI "can be CO2-neutral, depending on the energy source." It’s safe to assume that it will be fuel efficient too. 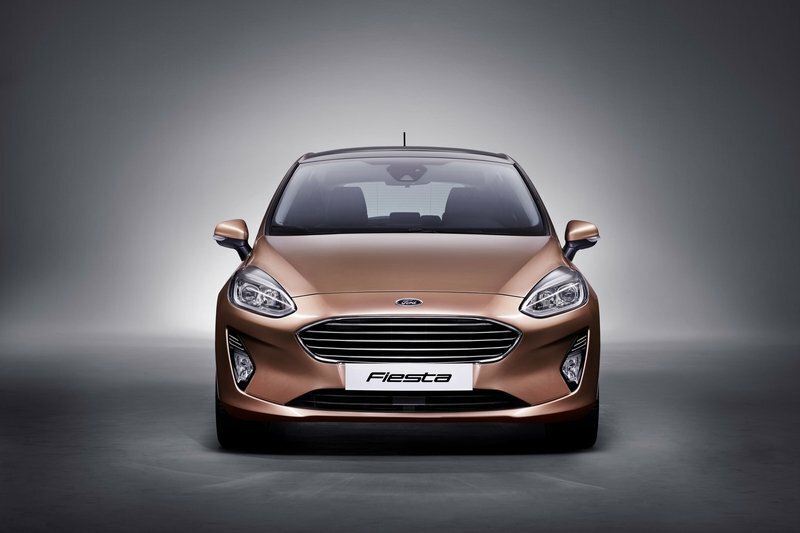 Just like the Polo, the new Fiesta is available with a wide range of drivetrain options. 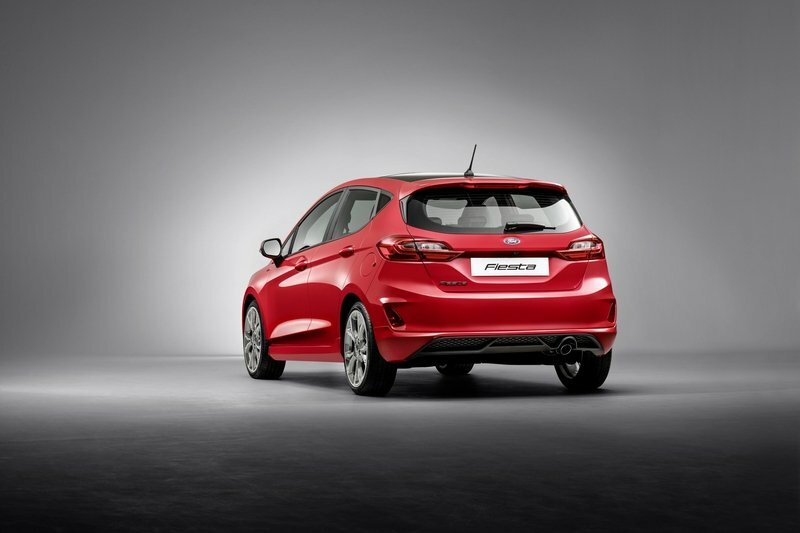 Just like the Polo, the new Fiesta is available with a wide range of drivetrain options. Three engines are offered, starting with the 1.1-liter three-cylinder. The naturally aspirated mill comes in three flavors. There’s a 69-horsepower entry-level model and an 83-horsepower version. Next up is the already familiar, 1.0-liter EcoBoost. This is also a three-pot, but uses a turbocharger and delivers significantly more power. Specifically, you can have it with 98, 123, or 138 horsepower, the latter also being the most powerful version of the Fiesta. Moving over to diesels, Ford offers a 1.5-liter four-cylinder rated at either 82 or 118 horsepower. 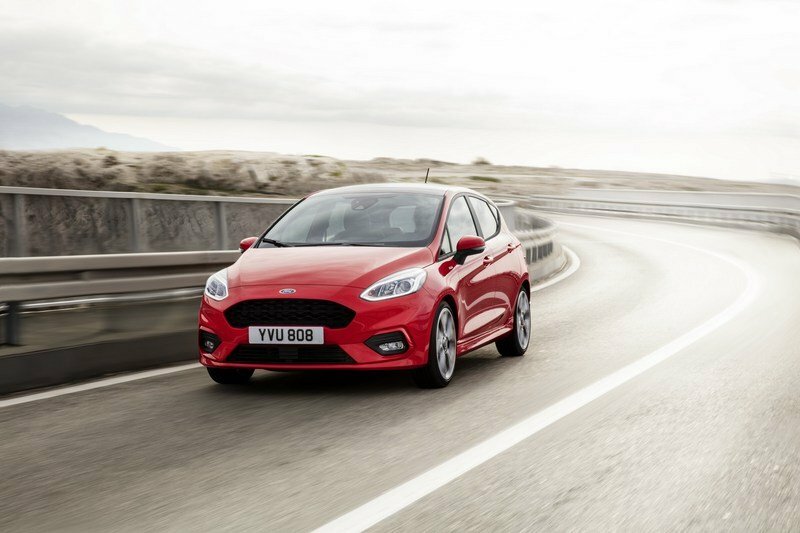 The 118-horsepower unit is the first oil burner to pump more than 100 horses in the Fiesta. The 1.0-liter can be had with a six-speed manual transmission or a six-speed automatic, the diesel is only available with the six-speed manual, while the 1.1-liter gasoline engine gets a new five-speed manual gearbox. 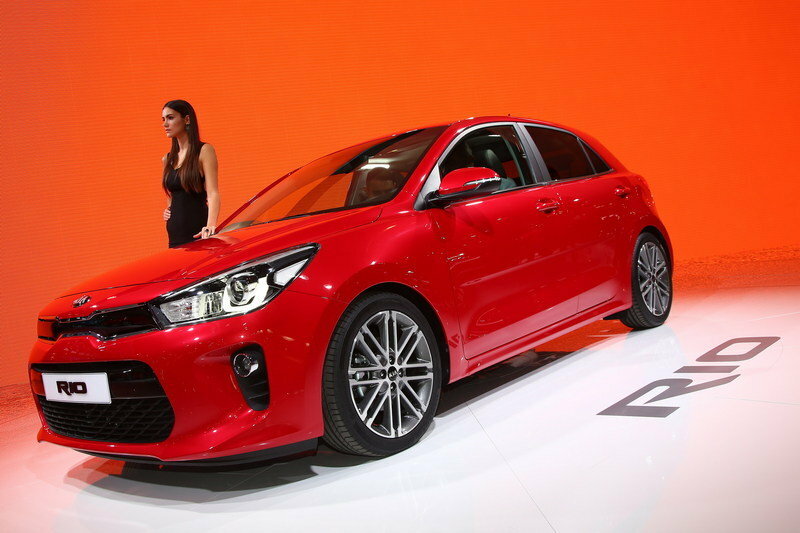 The Kia Rio also comes in many flavors, but the base engine is larger at 1.4 liters. 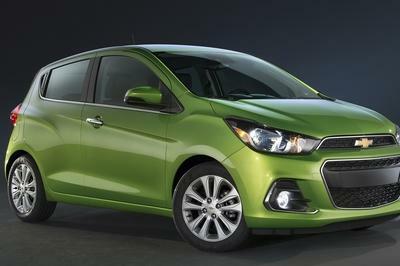 Essentially an older engine that can be found in most small Kia and Hyundai vehicles, this unit is rated at 76 horsepower and mates to a six-speed manual only. If you like automatics, you need to go with the most powerful, 98-horsepower versions. For something in between, the 1.25-liter four-pot delivers 83 horses, through a five-speed manual. 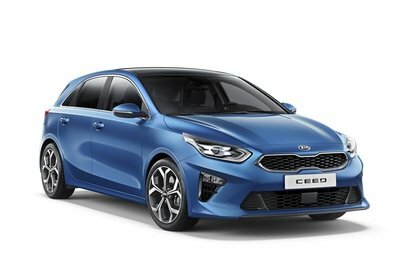 Kia also offers a turbocharged, 1.0-liter engine with 99 or 118 horsepower, and a 1.4-liter diesel that’s good for 89 horsepower. Both come with a six-speed manual transmission. The range-topping engine, and the only one available in the U.S. for that matter, is a 1.6-liter four-cylinder rated at 130 horsepower and 119 pound-feet of torque. This unit mates to either a six-speed manual or a six-speed automatic transmission. 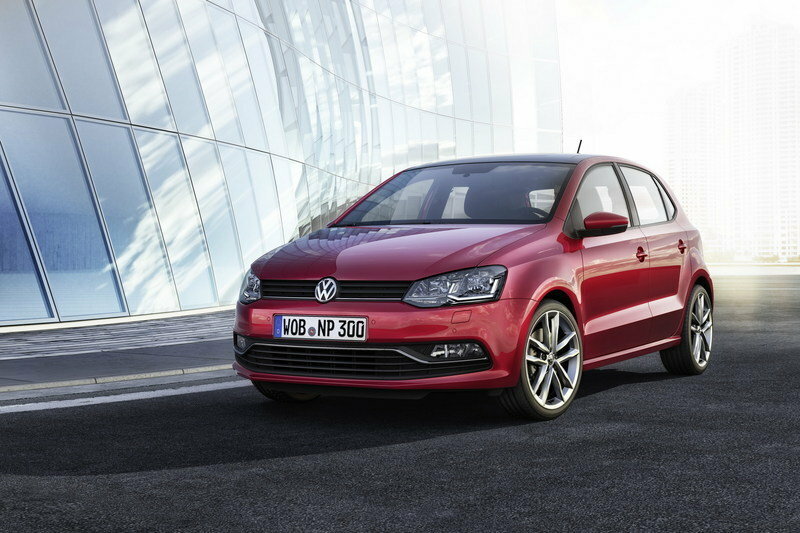 Pricing for the new Polo starts from €12,975 in Germany, which is a minor increase over the outgoing model. Expect the better equipped, more powerful models, including the Polo GTi, to fetch in excess of €20,000. 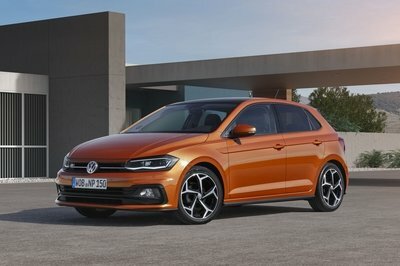 As usual, the Polo won’t be sold in the United States. Unless Volkswagen decided to give the Fiesta a run for its money in North America too, that is! The new Ford Fiesta is significantly more affordable than the Polo, retailing from €10,900 in Germany. For this amount, you get the entry-level Trend trim, while an upgrade to the Cool & Connect model will set you back €12,900 before options. Go with the Titanium version and pricing starts from €14,700. 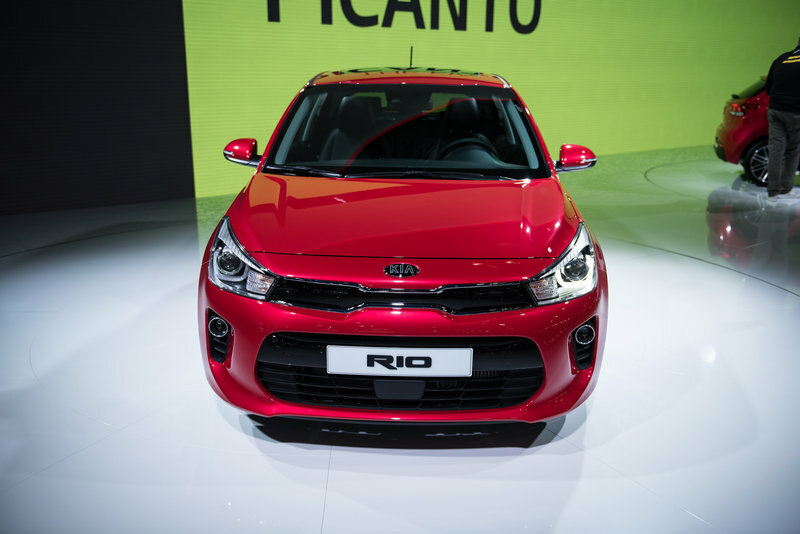 The Kia Rio is also more affordable than the Polo, but it starts a bit higher than the Fiesta, being priced from €11,690 in Germany. 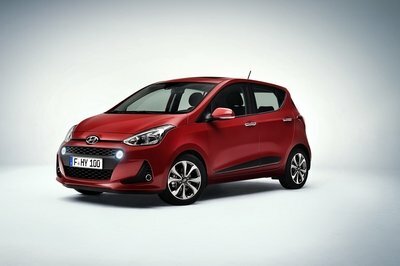 The i20 is not as fresh as the other hatchbacks in this review, but it’s not old either, having been launched for the 2015 model year. 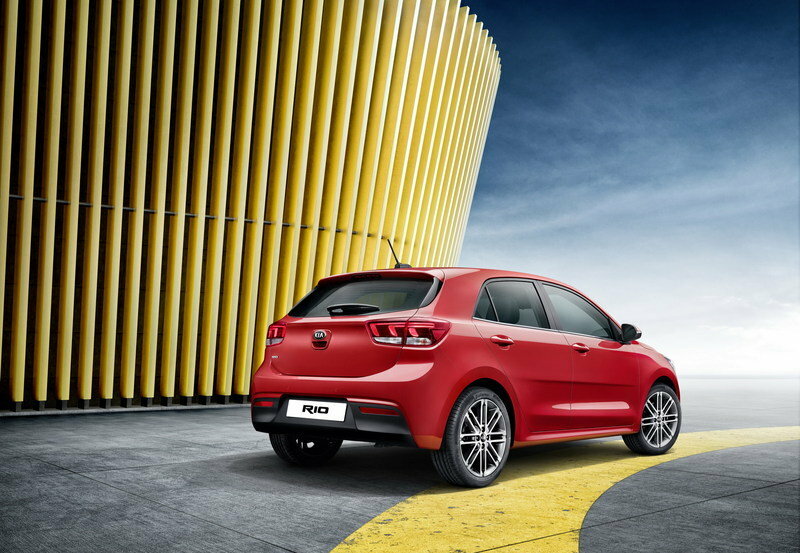 Sharing most underpinning with the Kia Rio, the i20 is also a significantly different take on the previous model, employing a more modern design with sportier cues and balanced proportions. While the Polo and Fiesta are pretty solid as far as design goes, I actually prefer the slightly older i20. I like how the door handles were placed below the protruding beltine, and how the large headlamps, slim nose grille, and massive trapezoidal intake in the bumper mix together and result into a unique design. The cabin also got a modern touch, along with a heap of new tech. However, the i20 is nowhere near as fancy as its competitors inside the cabin, lacking the modern features and large displays for the infotainment and instrument cluster. The i20 is pretty competitive under the hood. There’s a 1.2-liter rated at either 73 or 84 horsepower, and a 1.4-liter that produces 98 horses and 98 pound-feet of torque. 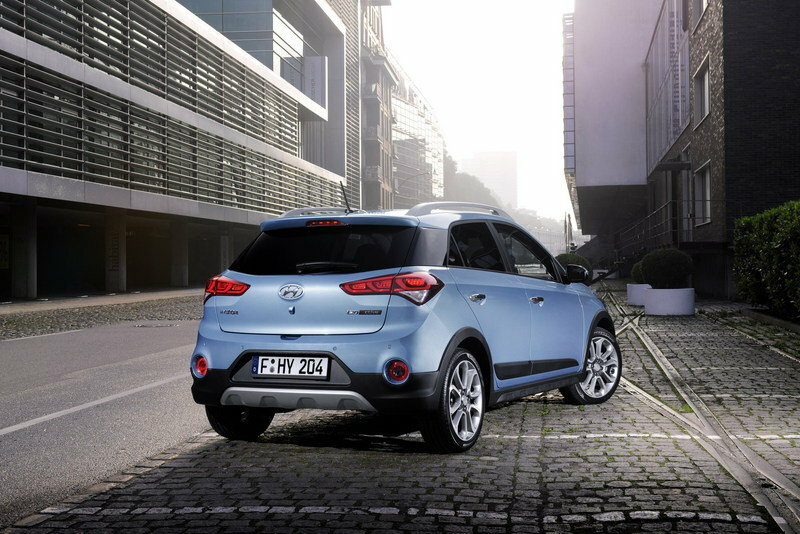 Pricing starts from €12,200, but hyundai also offers a crossover-style Active version from €17,300. 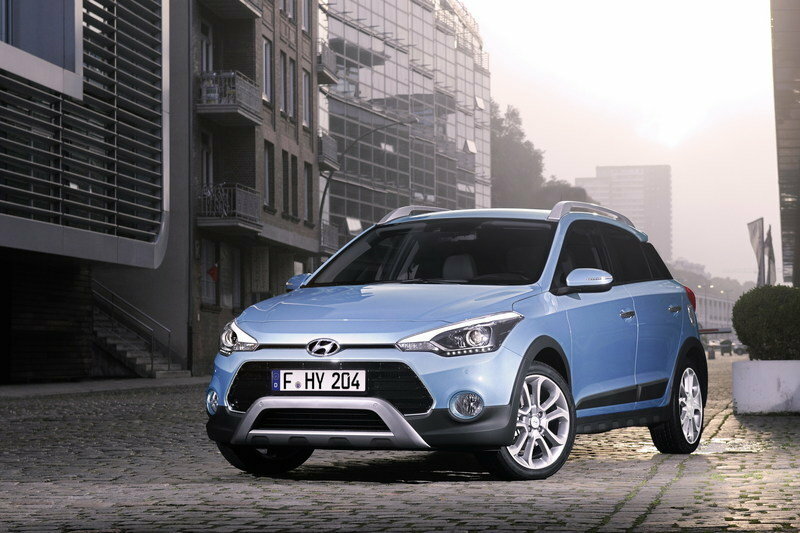 Find out more about the Hyundai i20 here. With more than 14 million units sold to date, the Polo is one of the world’s most successful compact cars. Including all different versions the Polo has even been sold over 16 million times worldwide. The sixth generation has a fully new exterior design, which makes the car – now as a rule with four doors – appear sportier and more grown up. At the same time, the new Polo has been made bigger than its predecessor in every dimension. As a result, it offers more space for driver and passengers, plus significantly increased boot volume, which has gone up from 280 to 351 litres. 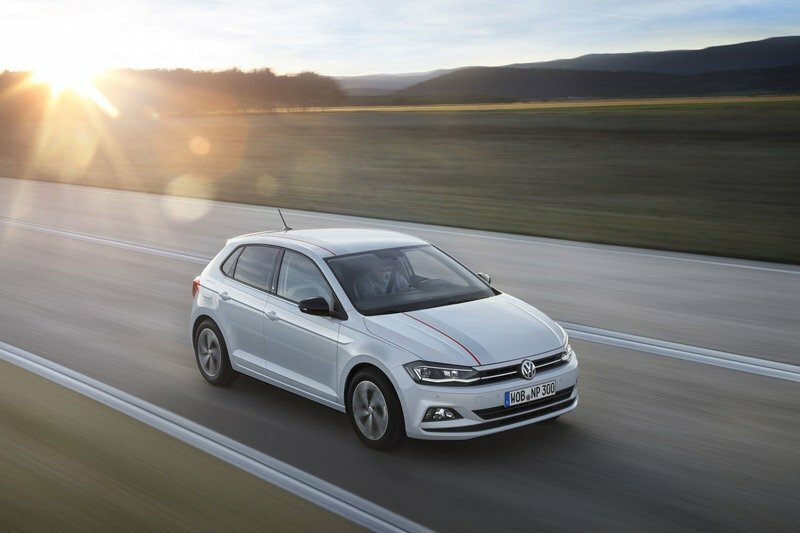 In unveiling the new Polo, Volkswagen is presenting one of the world’s most advanced compact cars. This is reflected in such advanced features as the multitude of driver assistance systems that were previously reserved for the Golf and Passat class. In addition to the three standard Trendline, Comfortline and Highline trim lines, the special edition Polo Beats (with features including a 300-watt sound system) and the sporty top model, the Polo GTI1 (delivering 147 kW / 200 PS), provide added variety. 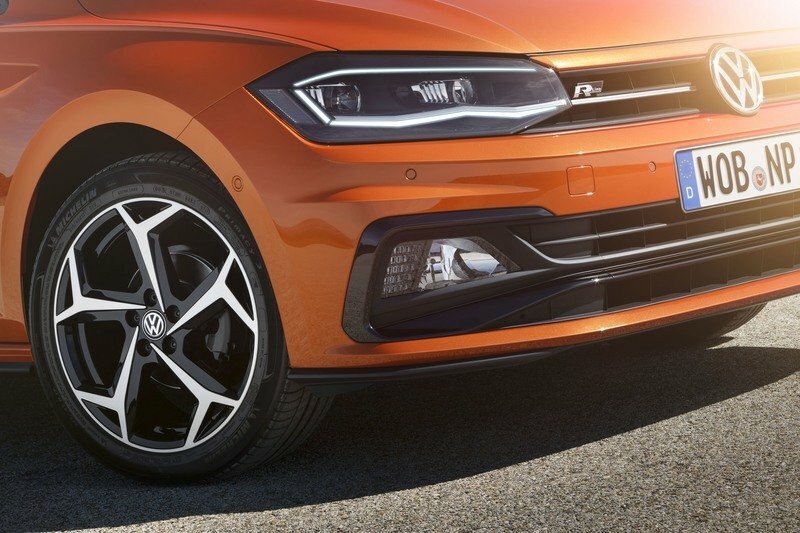 Even the base version of the new Polo, the Trendline, has standard features such as LED daytime running lights with coming-home and leaving-home functions, a speed limiter and the Front Assist area monitoring system with City Emergency Braking and Pedestrian Monitoring. Prices for the Polo Trendline in Germany start from €12,9751. One option again on offer is adaptive cruise control ACC (can now be activated up to a speed of 210 km/h). 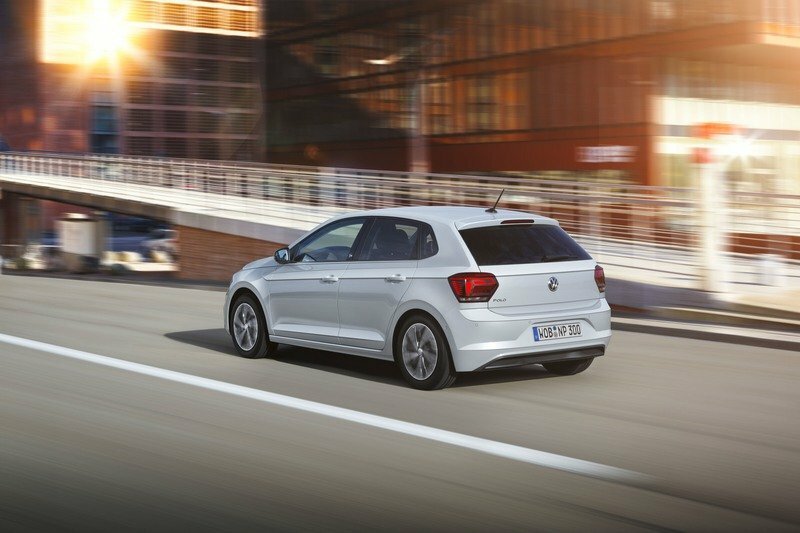 New options available in the Polo are the Blind Spot Detection lane change system with Rear Traffic Alert, the semi-automated Park Assist system for exiting parking spaces and a ‘manoeuvring function’. The latter provides automatic protection from any bumps while parking. 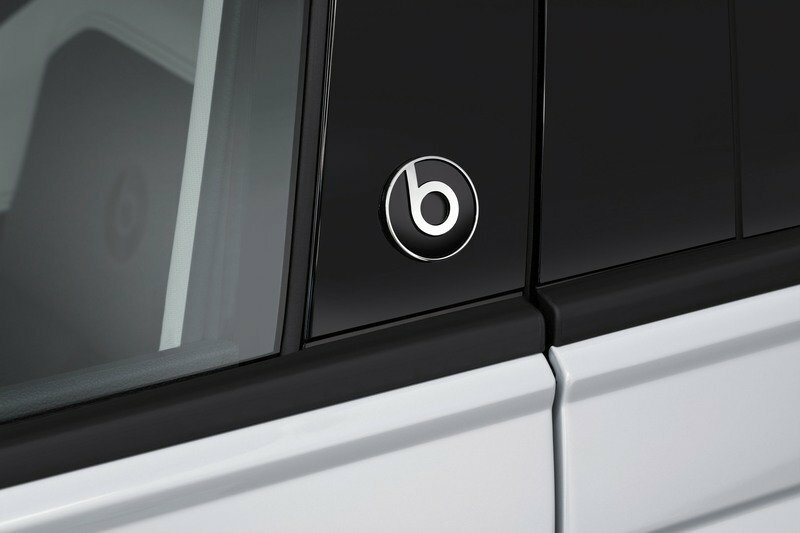 The optional Keyless Access locking and engine starting system, which is also new, can be used to unlock and start up the Polo. In addition, the Polo is the first Volkswagen and first Group model at all in which a new generation of the Active Info Display is available. The functionality and ease of use of the digital instruments are something completely new in this segment. 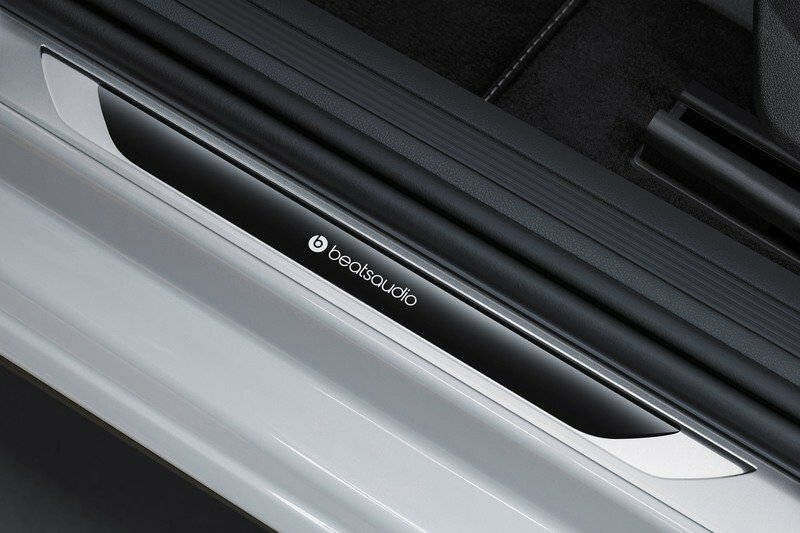 At the same time, the Polo has been given the latest generation of infotainment systems with display diagonals ranging from 6.5 to 8.0 inches – glass-encased devices that are as sophisticated as high-end smartphones, giving the interior a technical, clear look. A large range of fresh new colours (a total of 14 exterior colours are available) and twelve wheels (14- to 18-inch, some painted in contrasting colour), dashpads in a multitude of décors and eleven different seat covers make the Polo more colourful and more individual. Further personalisation options include full LED headlights, LED tail lights, an Air Care Climatronic system with humidity and sun sensor plus allergen filter, wireless charging for smartphones (optionally including inductive antenna connection), Sport Select running gear with adjustable shock absorbers and one of the biggest panoramic sunroofs in this class. In many parts of Europe the new Polo is due to launch before the year is out, with a number of Euro 6 engines being used phase by phase. The range of power output options at the start of sales will extend from 48 kW / 65 PS1 to 110 kW / 150 PS1. For the first time, the Polo will be available with a natural gas engine – the newly developed 1.0 TGI with an output of 66 kW / 90 PS1. In addition, there will be a choice of four petrol and two diesel engines, all equipped as standard with start/stop system and regenerative braking mode. Every engine with a power output of 70 kW1 or above can be combined with a dual clutch gearbox (DSG).